The Nissan 370Z upholds the legendary driver-focused model set by the original Z-car 50 years ago. 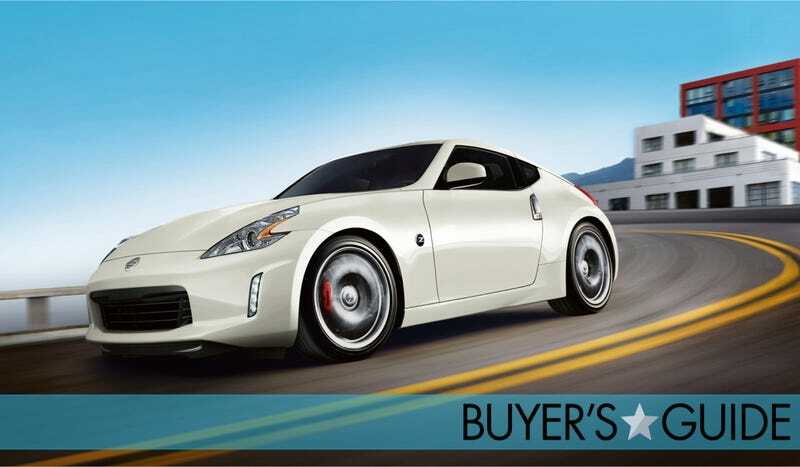 What do you need to know before you buy a Nissan 370Z? Don’t worry, we’ll tell you everything right here in our Buyer’s Guide. Z-cars have been produced in varying degrees of awesome since their inception in 1969. They’ve all been based on the same beautiful formula: front engine, rear wheel drive, six cylinder with a stick shift. Ever since that 1970 240Z, Nissan’s Z-cars have prioritized driving experience above all else, and in that regard, the sixth generation car stays true to its roots. From the excellent steering, to the confident handling, to the powerful brakes, we found the 370Z to be a great car for enthusiasts. The Nissan 370Z launched for the 2009 model year and has only been slightly tweaked since. While we think the looks and chassis could stand for an update in the near future, the 370Z is still a driver’s car and is often sold at a discount price to make it competitive with cars that have been updated since the Fall of Rome. It can be had with a 7-speed automatic or a 6-speed manual transmission with rev-matching. Those transmissions are mated to a 332 horsepower 3.7L V6. 2015 marks the seventh model year for the 370Z, and it really hasn’t changed all that much since the sixth generation car launched in ‘09. For ‘15, the Z gets some new trim levels, bluetooth becomes standard, and a few other minor alterations. The most exciting update for 2015, though, is the new styling of the Nismo model, which no longer looks like a pissed off catfish. But why buy the 2015, when you can wait until 2016 and get engine noises blaring through your speakers. Or not. While we think there are other better, fresher sports cars on the market than the Z, the Z is actually a pretty fun car to drive and if you can negotiate the price down a bit from the $29,990 starting price, you’ll end up with a real performance bargain.